Well done – what a success! I enjoyed it enormously. The programme was so interesting and varied. It must have taken a lot of thought and research to put it together with the beautiful images. I loved the international elements. So thank you. This was an excellent concert, a wonderful mixture of music and readings — it was obviously put together with much thought and imagination by Annie Pang and Mark Oldfield. The Chorus and musicians performed beautifully, making this an unusual and very enjoyable evening. It was a pleasure to be there and I really enjoyed the mixture of poetry and song. To me the programme conveyed the beauty and serenity of the moon. 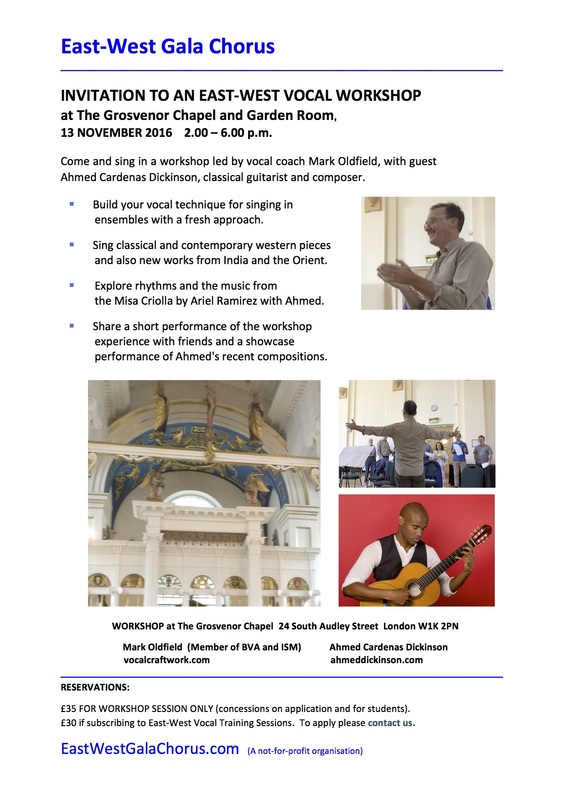 I enjoyed the event very much – I especially liked the variety of music and tempo, of languages, of performance – individual, 2 or 3 people, the whole choir and the wonderfully idiosyncratic poetry throughout. A real achievement from a small group of very enthusiastic people who made it a most memorable evening. Thanks very much for organising this and I enjoyed taking part of this event. I hope you are happy with the audience’s reception of the show. It was a very inspiring event indeed and no doubt lots of hard work getting it into shape. It was a lovely concert …would of course enjoy doing more music with East West Gala Chorus. …really thank you for this opportunity. This has been a very useful and rewarding experience for me and it makes me understand myself more as a performer and as a singer. The song represents the Chinese’s melancholy regarding its long history and turmoil. Although I grew up in the West, I have never forgotten my roots, and I cherish the width and depth of Chinese culture. A Celebration of the Mid-Autumn Festival in Songs and Words by singers of the East-West Gala Chorus and their friends. Join us to explore the themes of the moon, harvest and memories of home. 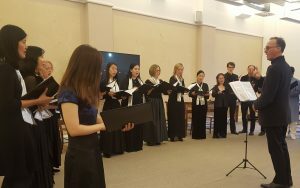 Drawing on rich cross-cultural traditions, singers from the East-West Gala Chorus will reflect on different traditions marking the start of autumn and moon themes in communities around the world. Through a programme of songs and words, we will share our music making with Hong Kong music and literary scholars in English, Chinese and other languages. The Chinese Mid-Autumn Festival coincides roughly with the Autumn Equinox, when the day and night are of almost of equal length and the moon is at its fullest and brightest in the year. It is celebrated in a variety of forms, especially across east Asia. Fondly referred to as the Moon Festival, the occasion has been celebrated by Chinese people throughout the ages. Today, family and friends gather to share the much loved traditions of moon viewing, sharing mooncakes and the harvest of seasonal fruits while children play with colourful lanterns. Similar festivals focusing on this time of the lunar calendar and the harvest are found in cultures across the globe, from the Christian Harvest Festival, to the Indian Purnima, and the Jewish Sukkot. Members of the East-West Gala Chorus sang in a carol service in the Chapel of the Mercers’ Hall for the Worshipful Company of Mercers. Conducted by Christopher Cromar from the organ, we sang a variety of carols including Hungarian and Hawaiian pieces. Saturday 2 July 2016 10am – 2.30pm. Venue: Herringham Hall, Regent’s University, Regents Park, London. Repertoire: Selection of western classical and new works, Chinese and Indian songs. 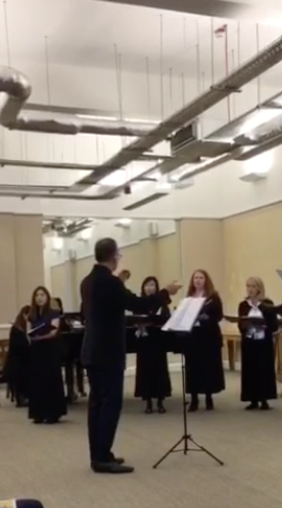 In response to an initiative by Mei Sim Lai OBE DL, the East-West Gala Chorus was formed to perform opera choruses in a charity gala for the Lord Mayor’s Appeal and Mulan Foundation Network at Fishmongers’ Hall. 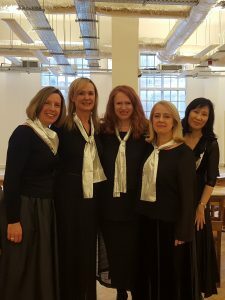 Performing alongside soloists: Soprano Laura Mitchell, Soprano Bei Bei Wang and Baritone Mark Oldfield, the Chorus sang works by composers ranging from Mozart to Bernstein and Sondheim, as well as the well-known Chinese folk song, ‘Jasmine Flower’. The event was generously supported by the UK-China International Exchange Association and the Institute of Directors City Branch, UK.